The world of playout has been going through a period of reflection, with service providers assessing how best to incorporate the latest technology in their long-term plans. Like so many other aspects of the broadcast chain, those involved in playout and distribution are re-evaluating their relationship with technology. But with long-term contracts and longer refresh rates than other parts of the industry, there is added pressure on playout technology chiefs to make sure that the kit they choose today is able to provide the functionality that clients may demand tomorrow. We are focused on the convergence of our linear and non-linear services, which is being led by our clients. If you think back to the traditional three- or five-year renewal cycle of a playout contract, people thought of non-linear as a separate entity. At that time, clients were considering outsourcing playout because it wasn’t core to their business, but keeping non-linear in-house. But over the past couple of years, a lot of clients have found that the volume of nonlinear content they are supplying, and the amount of revenue it raises via subscribers and advertising, has meant they have needed to be more serious about how it is delivered. It is becoming intrinsic to playout contracts that you provide playout, the capability for an IP simulcast, the ability to deliver video on demand, catch-up and archive packages to platforms. It’s the same content, you just prepare it differently. We have been looking at the investment we need to put in place to move the business from a perspective where we deal with nonlinear with different teams, operating procedures and service-level agreements, to a converged approach. We are mid-way through this in terms of investment. Some clients may still have linear with us but not non-linear, or vice versa, so there are environments where we have separate technology stacks and operating procedures. But for the past 18 months, our investment in services and infrastructure has been driven by a philosophy that there is one way we deliver these services, irrespective of the platform they are going to. We are about 18 months away from being fully converged across the business. We are working with the traditional vendors in the monitoring and control space: Grass Valley with its iControl and Kaleido range, along with Axon and Imagine Communications. Our experience has been that these three organisations are absolutely on board with our approach. Clients are less interested in it, but there is a drive towards pure IP infrastructure within a facility. We are still at a relatively early stage on that journey, as the cost of moving to a pure IT implementation is still significantly higher than running baseband. But we see that changing very rapidly as vendors embrace pure IP and the SMPTE 2022 standard becomes native in all playout, control and monitoring products. Over the past 12 months, we have been evaluating the state of readiness of IP-based playout systems. We have tested lots of software and equipment from all the main vendors to help us understand whether or not now is the time to really start using these new technologies. We found that a lot has been achieved, but there is much left to do, and there is still variation between what the major vendors have to offer. From an engineering perspective, there has been quite a lot of progress, but not everything was ready to launch a channel tomorrow, which is what you might infer from the various trade show presentations. The first question we must ask is: what do we gain from switching to IP-based systems? There are some obvious benefits – we can deploy a channel more quickly, which saves time and money from a technology delivery perspective. But in terms of how we operate channels, which is the single biggest cost item for most channels, IP-based systems are similar to our traditional tools and require the same operational practice. We need to look at what has been achieved in the over-the-top space, where the industry is really pushing the boundaries in terms of building modern distribution systems. Those systems are autonomously managed. For some of the biggest deployments, the ratio of people to infrastructure and streams originated is very different to linear TV. However, linear TV is not so radically different that we cannot embrace a different model in the future. The big question is how we go about this as an industry, rather than as a single organisation. Broadcasters are under pressure to reduce costs and there is an appetite to look at different ways of operating channels. We have some high-profile channels where we would not dream of switching to a highly autonomous approach, but for others, there may be mutual interest in doing things a bit differently. A lot of our focus has been on playout. We recently upgraded all of our monitoring and playout systems. We have a new master control room that will go live at the end of this month, which has required a lot more active alarm management and monitoring systems from Evertz. We’re also looking at more tie-ins with business management systems to aid reporting and help us be more responsive and agile. Currently we use a lot of Grass Valley K2 Edge servers. However, that technology is no longer available so we have been using Evertz OvertureRT Live for our newer customers. The OvertureRT Live is a fully-featured channel in a box solution that is integrated into our Evertz Mediator Playtime system. We have, of course, been looking at next-generation platforms and have been evaluating the marketplace for approximately nine months. Over this period, we have evaluated products from around seven different vendors to establish their suitability for our business. We have considered whether a product is suitable for cloud deployment and if we can operate it as software-only. And, of course, the vendor’s future roadmap has been a big consideration. Throughout this process, it has been clear to us that the next step for our facility will be an all-IP infrastructure. We currently have a proof of concept running with Evertz where we are trialling the Evertz EXE router together with the Evertz OvertureRT Live and VIP multiviewers all running within the IP domain. This proof of concept has run extremely well and we will hopefully bring it into a live environment during the first quarter of next year. We have been evaluating software-only playout platforms but the results are not compelling enough to transition at this stage. We have invested in a new virtualised platform and will continue to test different vendors’ software over the coming years – that is the beauty of software. But until we find a platform that is reliable enough to provide 99.999% output for our customers with cost effective and sophisticated graphics and secondary events, we will not make the leap. Customers are placing demands in terms of speed to market and, as a commercial organisation, we have to match that while also controlling operational costs. Clients want price reduction, so every part of the media delivery chain is subject to price pressure. We embarked on a wholesale re-evaluation of our playout systems about 12 months ago to establish where we wanted to be and what we foresaw as the right technology to move ahead. It’s resulted in a number of issues, one of which is a far greater focus on media preparation. We started developing a lot of asset management processes and workflows to support our back-end preparation, because we think this is where we will need to focus in the future. Clients tell us that playout, particularly for some thematic channels, is starting to become a barker channel for their VoD content. So the pressure is on to simplify the process and align it with their VoD services. We’re also replacing our playout systems. We see the move away from a simple channel-in-a-box (CIAB) to getting more processes like encoding and some of the graphics that are traditionally downstream of CIAB systems into applications that can run on generic hardware. We will build and test and then we will start to migrate services from one platform to the other. We have clients to support with SLAs to meet, so we will maintain our existing infrastructure and build the new platform alongside it. It’s quite an undertaking because there are so many moving parts. We will make sure the new platform is 100% stable before moving any channels. What is essential for us is the ability to run playout systems on generic hardware that we own in an environment where we can flexibly reallocate systems according to our clients’ requirements. We intend to have an environment which uses a lot of virtual machines and gives us the opportunity to spin up new services quickly. The other key thing is a distribution-quality encoded signal, such as MPEG or H.264, out of the application so we can effortlessly transition to a fibre distribution platform. Key is that it has to be as easy or easier to use and as controllable as the systems we operate today. We recently invested in a new media asset management (MAM) platform, Snell Advanced Media’s Momentum, which is being rolled out to manage our ingest workflows and delivery to multiple platforms, including our playout automation platform. Initially, it will deliver our video on demand (VoD) processing services to Middle East and African platforms, but over time it will replace our traditional MAM platform. It will allow us to undertake processing for VoD delivery in a highly automated, industrialised fashion, which we haven’t been able to do before. Now that broadcasters are delivering VoD content to platform operator customers, we are putting in systems to enable that as part of our wider media services provision. It will also give us a more automated, manageable and scalable ingest solution for linear playout. We want to integrate ingest, management and playout platforms through service-orientated architecture. This will enable us to use a variety of playout platforms – remote solutions, virtualised IP or traditional automation with discrete video processing services – within a chain that can be serviced with content using a single media hub. We are also looking at new automation platforms, with the aim of having a new one in place by the second quarter of next year. We currently have an Omnibus (now Grass Valley) Colossus as our more traditional platform. It runs SD and HD channels, and the British Eurosport playout. We also have Grass Valley iTX as our multichannel platform. 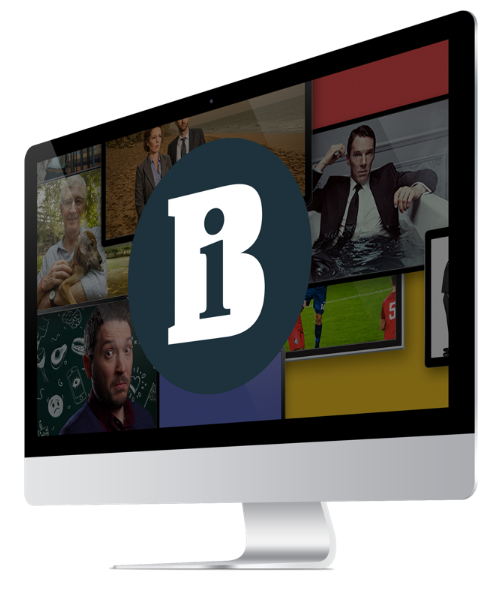 We made a strategic investment in a new IP streaming platform and adaptive bit rate encoding solution to support our distribution services with greater over-the-top and streaming capability. We are now in the process of launching that as a productised service. It enables us to offer a white-label streaming service with digital rights management and players for customers to embed in their own websites. Over the coming years, there will be a convergence in media management services around business-to-business (B2B) and business-to-consumer (B2C) delivery, but I don’t think vendors are quite there yet. The traditional MAM products are good at B2B services, while platforms such as Kaltura and Ooyala are very good at orchestrating B2C, but a convergence hasn’t happened yet. When it does, it will provide a flexible new route to market by flipping a B2B solution into a B2C solution very easily. You have to ask: where is the value? Ultimately, it is in delivering more services cost effectively. We have seen an evolution of contracts, with clients interested in the flexibility of non-linear for their linear playout. They might want to run a service for a month and distribute to multiple platforms, and then remove that service. That need for flexibility is one of key reasons we would look to play services out from the cloud because it gives us the ability to dynamically reshape the way that we run the playout chain. We have looked at the possibility of using cloud storage for disaster recovery (DR), but there is a security aspect. I can see that we might want to use it for DR, but at the moment it might be limited to that. I don’t think I would want to put mainstream services into hardware that I didn’t control. It is important to establish why we need the cloud. There is no doubt it will work well for business continuity and disaster recovery, and provide the ability to scale up. But I am not sure that buying processing power from the likes of Google and Amazon is more cost effective, and it is impossible to know the architecture inside out. For me, security is less of a concern than performance and cost because there is scale with the cloud, and there is usually strength in numbers.